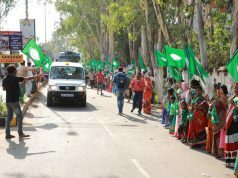 Bhubaneswar: “Though India occupies the status of leader in food production, but only 10% of food is processed”, said Shri B.K. Behera, Economic Advisor from Ministry of Food Processing Industry, Govt. 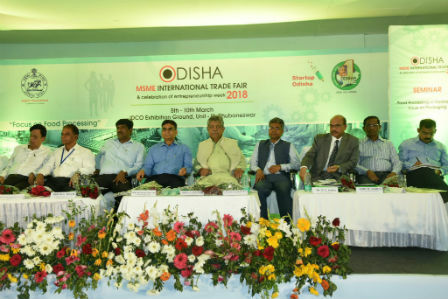 of India, New Delhi in the seminar on “Food Processing in Odisha with Focus on Packaging” held on the sidelines of Odisha MSME International Trade Fair, 2108. He added that over Rs.1 lakh crore worth of food is wasted in India, which can actually feed many small countries. He stressed on the need for waste reduction by setting up of food processing units, which has large employment potential. chhenapoda, talgur, tamarind paste, spices produced abundantly in Odisha, setting up of state of the art packaging units in Odisha is an attractive proposition. Packaging will enhance branding, improve preservation and ensure value addition. and Tertiary processing from ‘manufacturing ketchups & jams’ to Ready-to-Eat (RTE) meals. W&CD, SSEPD expressed satisfaction over successful implementation of the International Trade Fair and holding of 4 seminars, which have been well attended and well received by the existing as well as budding entrepreneurs. 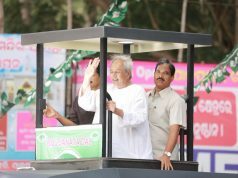 He added that Odisha being bestowed with natural and agro resources, offers employment opportunities in food processing sector and assured best facilitation to the entrepreneurs. Odisha for processing of Ragi, Rusk, Millets, Jackfruit, Tamarind, other fruits and vegetables. He also stressed on adoption of intelligent packaging, which depicts the state of food within the packaging. Shri Srikumar Misra, CEO, Milk Mantra stressed on the need by entrepreneurs to focus on innovation of products based on market demand. 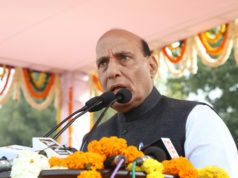 He stated that the products should be nutrition based and convenience led. As regards dairy sector, he added that there is a need to educate the consumers to adopt the practice of utilizing the fresh milk rather than powder milk because of higher nutritional value of the former. cultivation, chilly and for certain fruits. Shri Ramesh Mohapatra, President, UCCI informed that at present there are 15 aqua hatcheries in the state, the production of which is going to rise to 27 shortly. He added that Odisha has 24,000 hectares of land under aqua culture, which is providing nearly 1% of the total employment in the state. On this occasion, Shri Ramesh Mohapatra, President, UCCI and Mr. Bahador Sadeghi, Deputy International Affairs on behalf of the President, Qazvin Chamber of Commerce, Industries, Mines and Agriculture (QCCIMA), Iran signed an MoU for the purpose of mutual cooperation, improving and expanding trade exchange information and facilitate trade missions between Odisha and Iran.